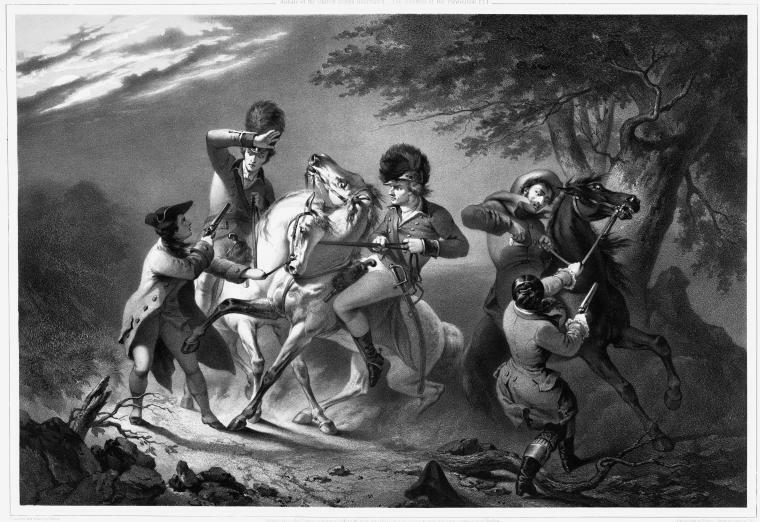 This dramatic print depicts sisters-in-law Grace and Rachel Martin disguised in their husbands’ clothing successfully intercepting at gunpoint a dispatch intended for British troops near their South Carolina home. The two women then brought the stolen information to the American forces. 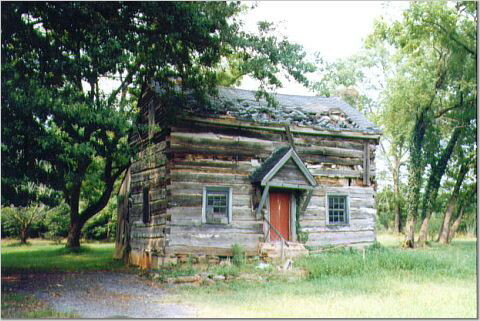 When the intercepted British troops later sought refuge in the Martin homestead, the women’s mother-in-law Elizabeth Martin successfully diverted the soldiers’ attention away from Grace and Rachel. 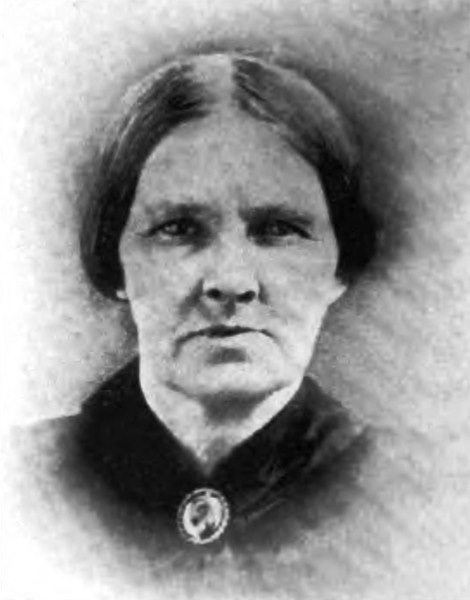 Author Elizabeth Ellett related the exploits of the three women in the first volume of Women of the American Revolution (New York, 1848). Read about their daring exploit in Elizabeth Ellett’s Women of the American Revolution . 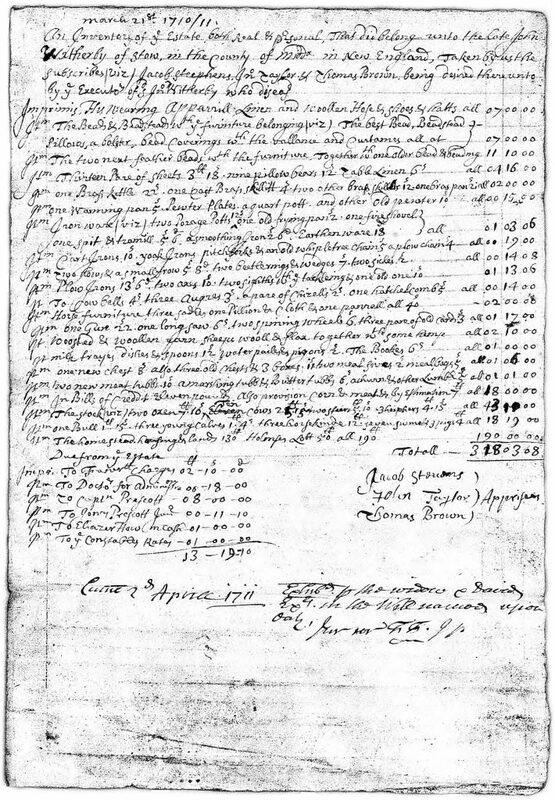 Elizabeth Marshall (1727-1797) is 8th great-grandmother of MKS in the Knight branch. Grace Waring (1758-20) is 7th great-grandmother of MKS in the Knight branch. Rachel Clay (1763-1840) is wife of 8th great-uncle of MKS in the Knight branch. Elisabeth, Grace and Rachel Martin, Lithograph, Claude Régnier (Lithographer), Felix Octavius Carr Darley (Artist), 1853. In Disguise: Cross Dressing and Gender Identity, Women Soldiers, Library Company of Philadelphia. The Women of the American Revolution, Volume I, Chapter XXI, by Elizabeth F. Ellet, Baker and Scribner, New York, 1850. 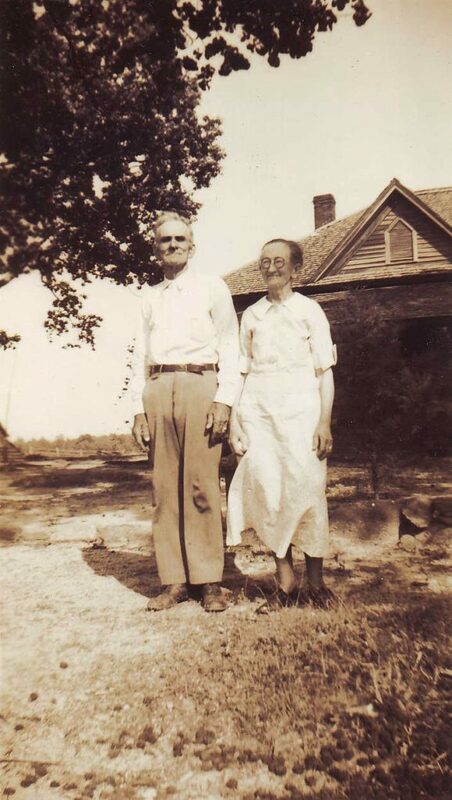 Amund Olson and Bertha Marie Tonnesdatter Olson. 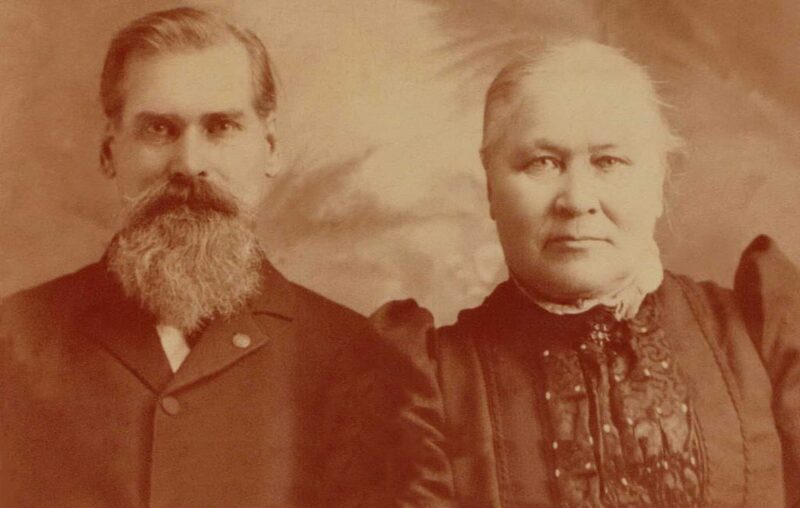 Here is a great picture of Amund and Bertha, courtesy of Ancestry.com user David Pollock. 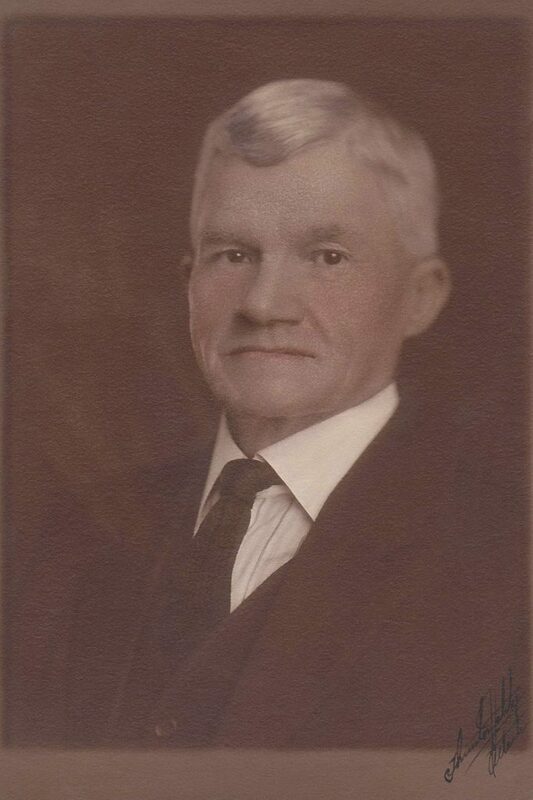 Amund Olson (1840-1915) is 3rd great-grandfather of MKS in the Wetherbee branch. Bertha Marie Tonnesdatter (1837-1904) is 3rd great-grandmother of MKS in the Wetherbee branch. 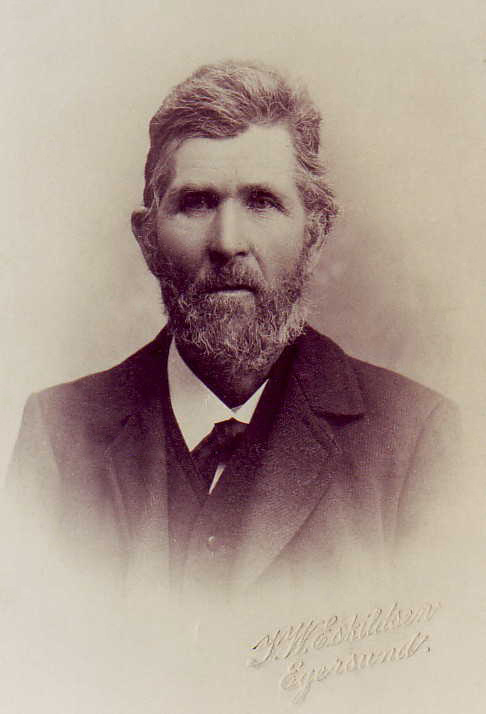 Source: Ancestry.com user David Pollock (photograph). 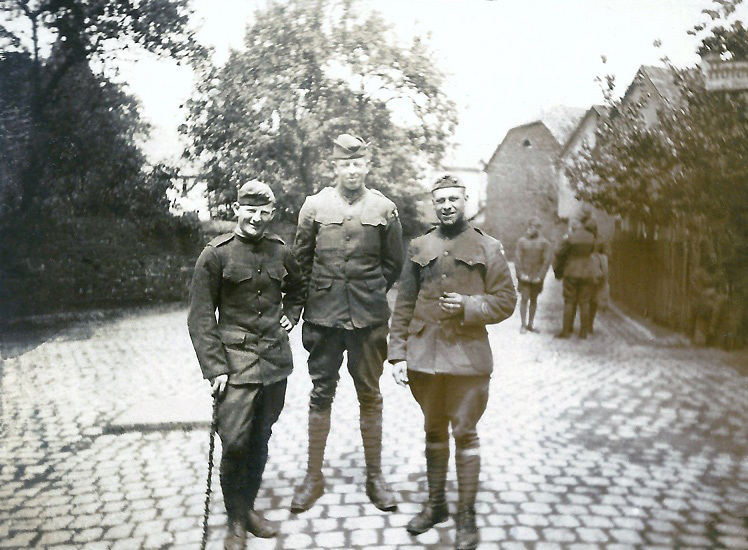 Grover O’Kelley in France (middle), 1918. Grover O’Kelley, son of Benjamin Franklin O’Kelley and Mary Anderson Hix O’Kelley, was born in 1890 in Planter, Madison County, Georgia. Both of his parents died in 1903, and he was raised by a half-uncle. He enlisted in the U.S. Marine Corps in 1917, trained at Port Royal, South Carolina, and Quantico, Virginia, and served in the Eightieth Company, Sixth Regiment, 2d Division, American Expeditionary Force in France during World War I. In Jun 1918, for extraordinary heroism in action at the Battle of Belleau (Bois-de-Belleau), he was posthumously awarded the Navy Cross , Distinguished Service Cross, and Silver Star. The Navy Cross and Distinguished Service Cross are the second highest military decorations that can be awarded to a member of the United States Marine Corps and United States Army respectively, and are awarded for extraordinary heroism. The Silver Star, awarded for gallantry in action, is the third highest military combat decoration that can be awarded to a member of the United States Armed Forces. His family was informed of his death, and the Department of War announced his death on 9 Jul 1918. And yet he lived to tell about it. 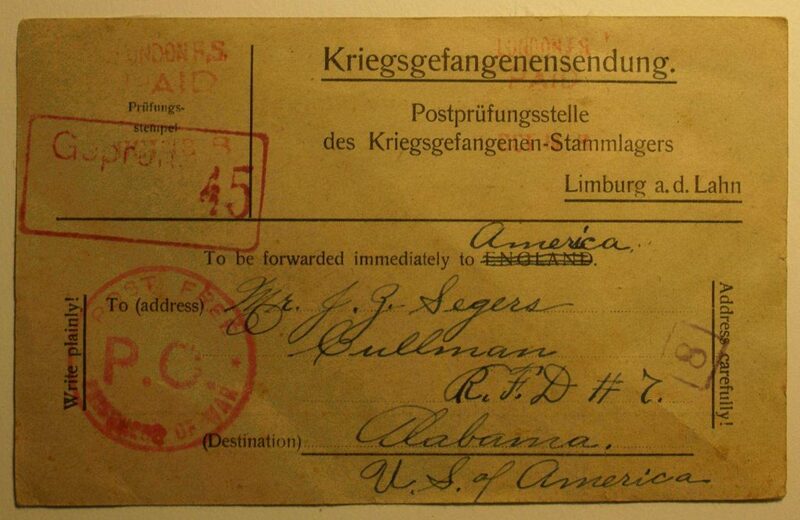 In late Nov 1918, after the signing of the Armistice on 11 Nov, his half-uncle John Zachariah Segars received a prisoner-of-war postal card from Grover , shown below. During the attack on Belleau Wood by the 80th Company on 8 June, Sgt O’Kelley was wounded in the head only yards from reaching a German machine gun, rendering him unconscious. 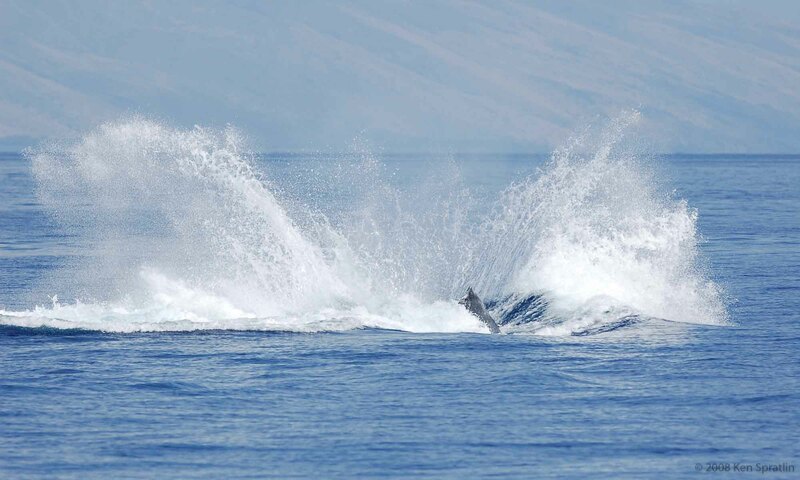 When he revived, he still had the presence of mind to know the only thing he could do was play dead. Due to the murderous fire and high casualties, his company was forced to retreat, leaving the (supposed) dead Sgt O’Kelley in front of the gun, with the dead body of one of the Marines of his platoon laying across his back. After dark, O’Kelley tried to remove his dead comrade to make his escape back to his lines, but his movement was observed by the nearby Germans and he was captured. 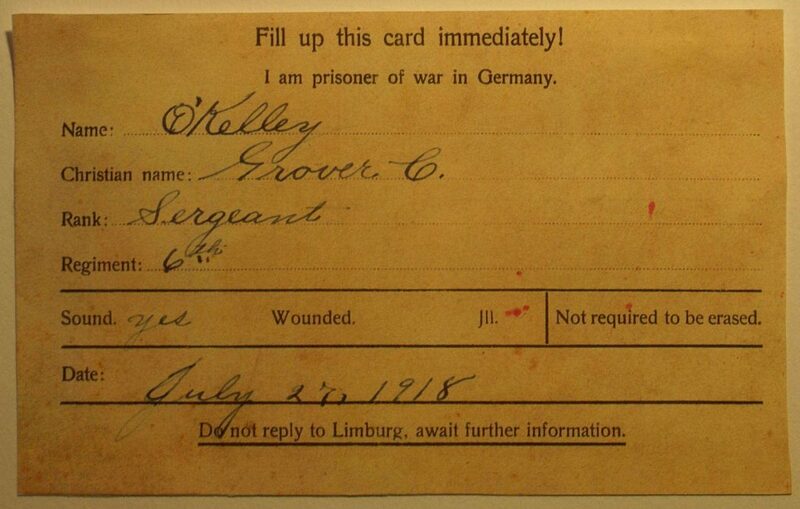 His wound was treated by the Germans and he was held as a POW until the end of the war. When the ground where he fell was retaken, no trace of him was found, and he was presumed dead and buried by the Germans. After World War I, Grover finished his education, became a lawyer, and later worked for the U.S. Postal Service. He married Ruth Augusta Davis, and they had one son, Grover O’Kelley Jr.
Sgt Grover Cleveland O’Kelley (1890-1969) is 1st cousin 4x removed of MKS in the Spratlin branch. Remembrance Military Service Page for Sgt Grover Cleveland O’Kelley, created by Sgt Dave Stutesman, togetherweserved.com. Photos there are courtesy of Joanne O’Kelley Kline. U.S. Marine Corps Navy Cross Recipients, World War I, 1917-1918. To the Limit of Endurance: A Battalion of Marines in the Great War (C. A. Brannen Series), by Peter F. Owen, 2014. Prisoner-of-War postal card photos are courtesy of Ancestry.com user rkline0462. With a polar vortex bearing down on the U.S. midwest, these photos from Lucille Watne’s photo album seem appropriate. 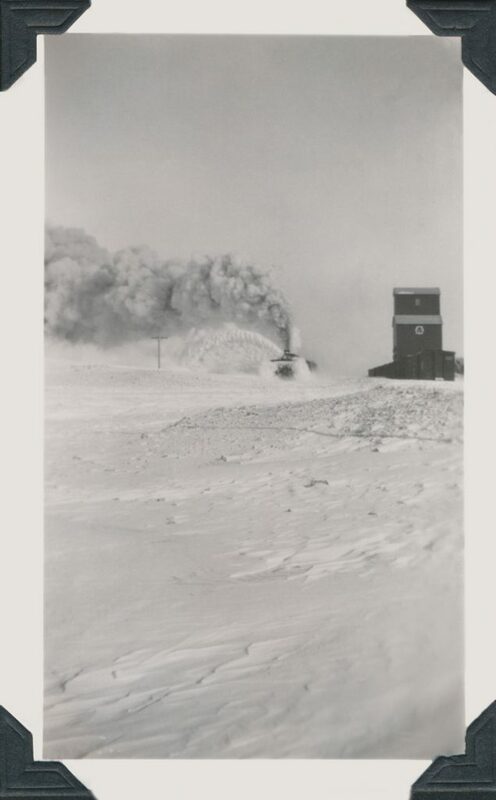 That website refers to many postcards of #X-17 in circulation taken near Dooley, Montana, during the Feb 1916 blizzard. Lucille’s photos however appear to be original, not postcards. Her photos are not labeled with place or date. Perhaps the grain elevator in the first photo can be identified. Is this in Hannah, North Dakota? Minneapolis, St. Paul and Sault Ste. Marie Railroad, wikipedia.org. 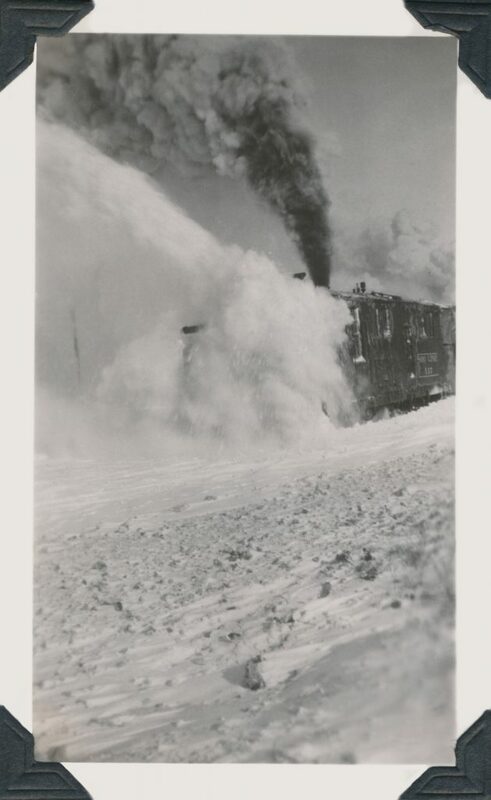 Soo Line Railroad Company: An Inventory of Its Company Records at the Minnesota Historical Society, Manuscripts Collection. Railways of Montana and the Pacific Northwest.